This step by step diy woodworking project is about diy modern end table with storage plans. I have designed this storage outdoor side table so it goes with the rest of my modern furniture set. This project is super easy to build and it features a very simple design that could match any style of furniture. If you enjoy my design, don’t forget to take a look over the rest of my free plans HERE. 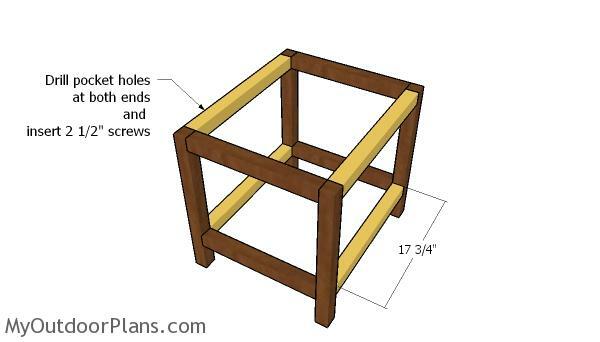 The first step of the project is to build the side frames for the end table with storage. Cut the components at the right dimensions and then lay them on a level surface. Drill pocket holes at both ends of the horizontal supports. Align everything with attention and then make sure the corners are square. Insert 2 1/2″ screws and add glue to lock everything together tightly. Continue the project by assembling the frame of the table. Drill pocket holes at both eds of the supports and then insert 2 1/2″ screws to lock everything together tightly. Make sure the corners are square. Attach the slats to the narrow sides of the storage table. 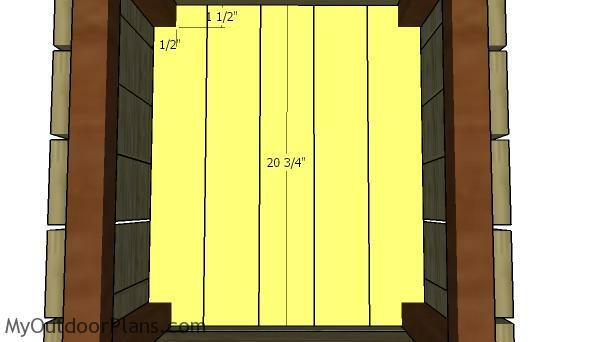 Fit a piece of 1/4″ plywood between the slats so you create even gaps. Align the edges with attention and then insert 2″ nails to lock everything together tightly. Add glue to the joints, as well. Fit 1×4 slats to the other sides of the table. Align the edges flush and then leave 1/4″ between the slats. 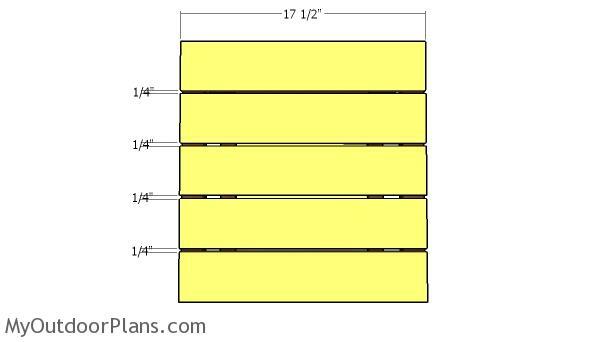 Use 2″ nails to secure the slats into place tightly. 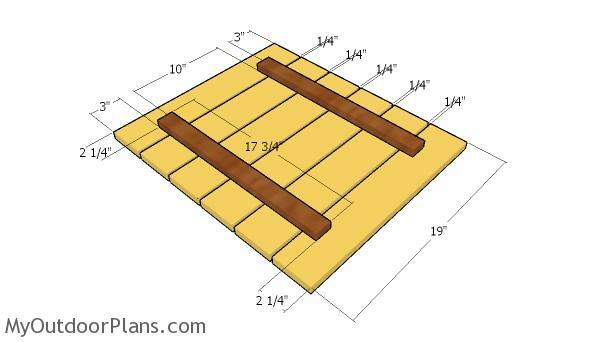 Use 1×4 and 1×2 slats for the lid of the storage table. 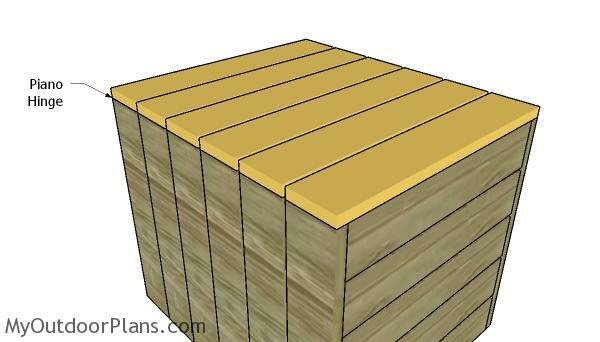 Lay the slats on a level surface and then secure them together with 1×2 supports. 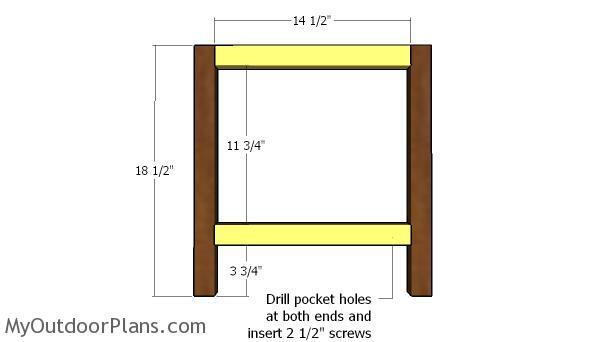 Drill pilot holes through the supports and insert 1 1/4″ screws. Add glue to the joints. Fit the lid to the top of the table and align the edges with attention. Use a piano hinge to secure the lid to the table. Fit the 1×4 slats to the bottom of the table frame. 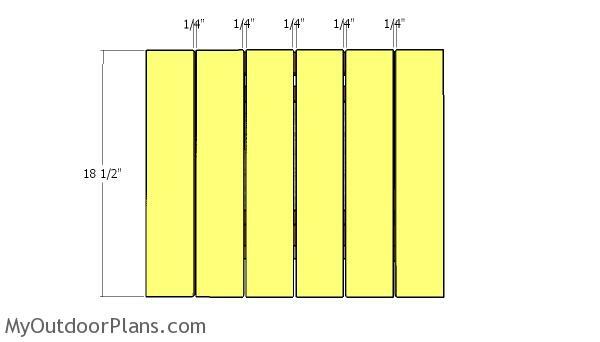 As you can see in the diagram you need to make notches to the slats that go on both sides. Use 2″ nails to secure the nails into place tightly. Last but not least, you need to take care of the finishing touches. Therefore, fill the holes and dents with wood putty and then smooth the surface with 120-220 grit sandpaper. Apply a few coats of paint or stain over the components. 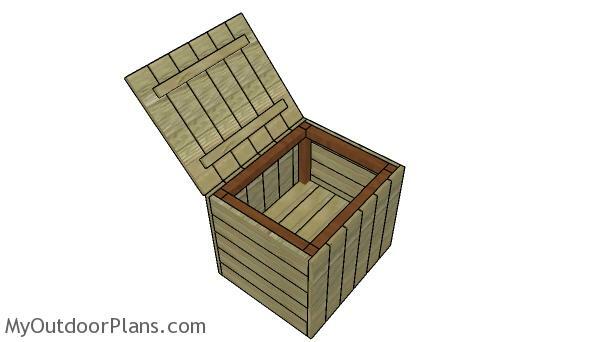 This is a simple woodworking project, so any person with basic diy skills can get the job done in a few hours. 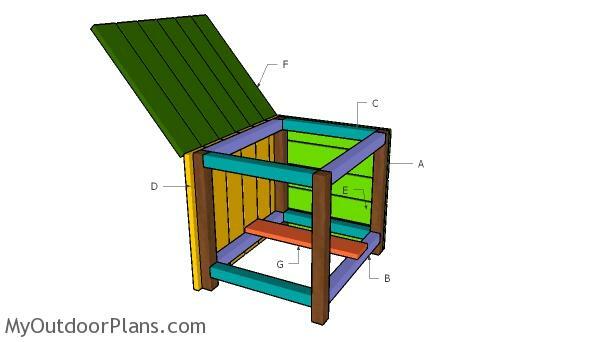 If you like my project, I recommend you to take a look over the rest of my woodworking plans HERE. See all my table plans HERE. Choose from thousands of free designs and fill your life with DIY joy! 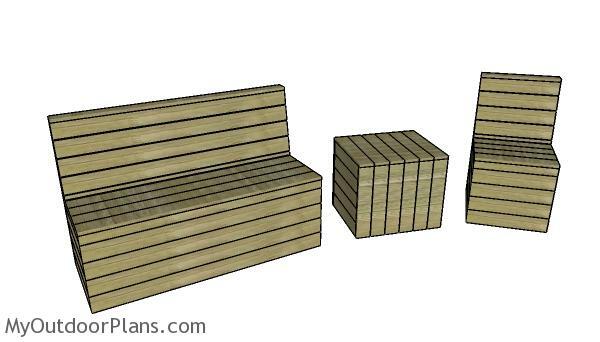 This woodworking project was about modern outdoor side table with storage plans. If you want to see more outdoor plans, we recommend you to check out the rest of my step by step projects. Feel free to SHARE my plans with your friends, using the social media widgets.